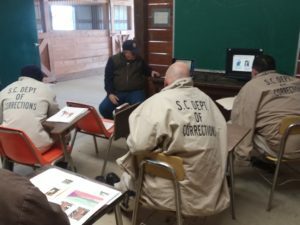 As a brand new class of inmates begins their first day of training in Wateree’s Groom Elite Program, Reid McClellan is here to make sure they get off to a good start. Broad shouldered and stocky, with a hearty laugh and a no-nonsense demeanor, Reid exudes a confident, strong physical presence which is reassuring to both men and horses who may not know what they’re doing at first. It’s not hard to imagine him going one-on-one with a horse in a training situation and coming up with the desired result. Reid grew up with horses, and began riding at age six. “My dad told me I had to be able to saddle and bridle a horse by myself before I could ride,” Reid remembered. In his zeal to accomplish this on his own when his father wasn’t present, Reid once maneuvered a horse alongside the farm’s chicken manure pile to use it as a mounting block. 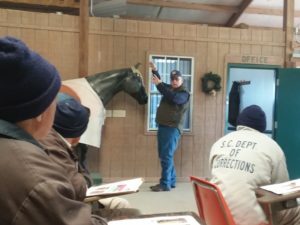 Today, in the classroom located within Wateree’s main barn, Reid will give inmates their first exposure to learning about and being around horses. A dry erase board lists the names and ages of the current herd, and a life-size horse model stands nearby, while individual molded plastic horse legs serve as practice guides for bandaging. Over the next few months, the class will complete 14 units comprising 40 hours of instruction, culminating in a certificate which qualifies graduates to work as trained grooms. They will master a list of topics from conformation, the equine digestive system, use of restraints, evaluating hay, recognizing bucked shins and other leg injuries, identifying hoof problems, and basic bandaging, just to name a few. 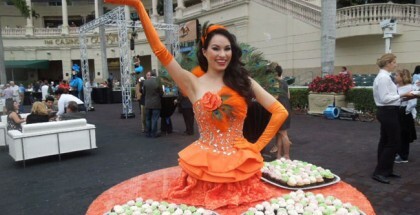 They also will be required to pass a comprehensive written and practical final exam. Reid recalls a star student from a class in another facility who baffled him by scoring only 20 percent on the final. “I figured out he couldn’t read, but he wouldn’t admit it,” Reid remembered, administering the test again verbally with the student scoring 86 percent. As he makes his way through the day’s lecture on horse behavior, Reid often veers off on tangents, shooting off in unexpected directions as fast as a sprinter feeling the whip in the stretch. Whiskers on a horse’s muzzle are used to identify aspects of the animal’s environment, “so keep them. Don’t shave them off” he says. Horses’ skin is so sensitive, “they can feel the air move under the wings of a fly.” A nose twitch works because it releases analgesics. The bulbs of horses’ heels alert them to impending storms. Reid tells lots of stories, and everybody pays attention. Later during this visit, Reid will demonstrate this theory directly when he supervises inmates’ first practical experience handling OTTBs from the Wateree herd in the facility’s round pen. For many inmates, this will be the first time they have ever held a lead rope or even touched a horse. From long experience, Reid knows that what he calls “the moment” will come for many inmates when they first attempt to bond with a horse in the round pen. He recalled the story of one student who’d confided that the program may not be enough. “(He) worried every night that he might mess up on the outside and end up in here again,” Reid recalled. According to The Blood-Horse, Groom Elite has certified nearly 2000 grooms through onsite classes at 30 racetracks or farms nationwide as of 2015, in addition to its work with the Thoroughbred Retirement Foundation at seven U.S. prisons. Anyone can take Groom Elite 101, the same course offered to inmates at Wateree. Reid travels around the country offering training at various tracks and farms, and interested participants can sign up by registering in advance and paying tuition. Visit www.groomelite.com for more information and a complete schedule. 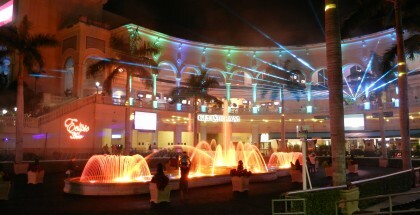 Basic Grooming 099 will be held in May at Presque Isle Downs in Erie, Pennsylvania. This entry-level class is designed for those with little or no previous horse experience, consisting of four days of classroom instruction as well as hands- on exercises, followed by a fifth day of evaluation and job placement assistance. Sponsored by the Pennsylvania HBPA, tuition is free for students currently working or planning to work at Presque Isle. All others are charged a nominal $99 fee. Due to the current shortage of qualified grooms at most facilities, “anyone who successfully completes the course is basically guaranteed a job,” Reid says. Reid would like to expand his educational offerings, but as a 501(c)(3) organization, the Elite Program faces the same funding challenges experienced by many non-profits. 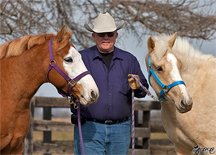 With a mission to “make a difference in the lives of people and horses,” Reid hopes that his efforts to improve training for those who care for horses both inside and outside prison walls will continue for years to come. 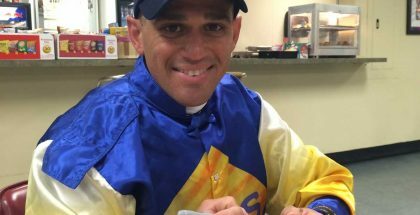 After only a single classroom session, even the novice inmate grooms at Wateree seem to sense that Reid has a deeper understanding of horses than they may ever achieve on their own. As he offers them a short break to stretch their legs, he ducks into the barn office to regroup to find a recent donation of many bags of carrots lying on a counter. Reid breaks open a bag, grabs a large carrot and eats it raw, biting it off in big chunks and grinding it with relish.